Jabsco 17810-1300 Engine Cooling Pump Caterpillar 5N9357 3304 3306, Defining feature for the 17810-1300 model is a cover with 4 screws sealed by an o-ring. Jabsco 17970-0100 Engine Cooling Pump Caterpillar 3406 3N4851 3N-4851. 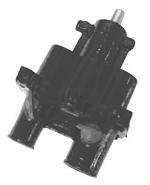 Replaces OEM Jabsco 17970-0000, same pump and same parts. 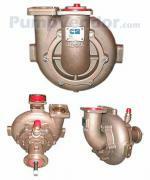 The pump comes in a bronze finish, not painted yellow as shown. 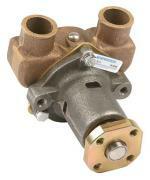 Jabsco 9990-41 Engine Cooling Pump Perkins 2488324 6354 clamp mount. 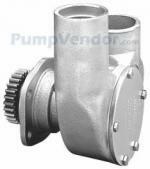 This pump replaces the 9990-21. Sherwood F85 F-85 Engine Cooling Pump F85 F-85, Westerbeke Pilot 10-20 16423, The F-85 pump is no longer available directly from Sherwood so we use a G-65 pump and two bushings to reduce the port size to 1/2". Sherwood P2708X P-2708X Engine Cooling Pump P2708X P-2708X, Cummins QSC, Port Elbows Not Included. Same As P2708-01 But Without The Port Fittings.